Aaron travels regularly to Tuscany and Piedmont in search of great values and outstanding selection. Over seven days in spring, Aaron will share his favourite discoveries in these two most scenic regions of Italy. Experience exclusive access to wine makers, fabulous meals, distinctive accommodation, fun events, some culture and the congenial company of wine enthusiasts. This is a trip you'll never forget! May 25: Arrival at Florence Airport. 1hr drive to the 1st hotel in Tuscany. May 26: Discover the Chianti, the vibrant town of Siena and how to make real Italian pasta. May 27: Discover the Brunello of Montalcino and Tuscan olive oil. May 28: Traveling day to Piemonte in our comfortable coach. 5hr Drive with a memorable stop at the food capital of Modena. May 29: Discover Alba and a sublime lunch at a 3 Star Michelin Restaurant. May 30: Discover the Barolo, the Grinzane Cavour Castle and the art of truffle hunting. May 31: Transfer to Torino airport. 1hr drive. This gorgeous country hotel has stunning views of the nearby city of Siena and the rolling Chianti hills. The stylishly converted historic hamlet, a cluster of ancient rural buildings huddling around an 11th century tower, offers all the modern conveniences in a contemporary-classic style. There are two swimming pools, a fitness room, and a spa with vino-therapy. There is a superb restaurant with each dish presented like a contemporary work of art. Standing in a magnificently restored and renovated neo-Gothic country estate, once the property of King Carlo Alberto of Savoy, Albergo dell'Agenzia is a luxury boutique hotel located on the edge of the village of Pollenzo, just a few kilometers from the town of Bra. The property is also the home of the University of Gastronomic Sciences and the Wine Bank, located in the ancient cellars of the estate. This enormous museum allows visitors to experience the historic cellars of Pollenzo and the wine producing regions of Italy, tasting their wines along the way. In line with the slow food philosophy of the estate, the restaurant at the Agenzia serves delicious menus based on local cuisine and the finest regional produce. When you travel to Italy, you expect good food. But when you travel to Italy with Wine Online, you are entitled to expect remarkable food. So please prepare your palates for a variety of exquisite delights. From the simple pasta of La Mamma to international renowned chefs, we are glad to present you to delicious and varied types of Italian cuisine. Over the course of the week, we will try to give you the opportunity of sampling some very distinct wines and meeting different type of estates. We will introduce you to our wine making friends, show you their methods of wine making and try to explain the miracle of transformation. But to prevent repetition, we will explore some large well known wineries and some smaller ones. Regarding the quality, there is only one rule: does it please your palate?! And to make things even more interesting we will try to deliver some other activities which will help you understand the Italian culture. It maybe the visit of « old stones », the immersion into other delicious « mouth-specialties » or just the pleasure of winding through piazzas and rolling hills. We are here to make your stay as memorable as possible. Our first day will be spent in the Chianti. Starting with a medium size family run visit at Il Palazzino in Gaiole in Chianti. The brothers Alessandro and Andrea hand pick their 20 ha, use only organic methods in order to deliver the finest wines. For your first evening in Italy, we wanted to set the standard of excellency: Ristorante Bottega del 30, a Michelin star restaurant in the heart of Chianti. The restaurant of the Castelo di Brolio serves traditional tuscan dishes with seasonal ingredients. We couldn’t come to Italy without having a cooking class. But not everybody gets the chance of meeting Serena, the adorable genuine Mamma. We will put our hands on to prepare our past but also our pizza with her handsome son Simone. And her tiramisu, is just... to die for! To follow, we will attend the largest winery in the Chianti Classico, the Castelo di Brolio. The baron Ricasoli was the founder of the Chianti formula in 1872. After visiting their modern cellars, we will be having the privilege of tasting their finest crus in the private living-room of the castle. The Brunello makes the pride of the Montalcino area, in the south of Tuscany. 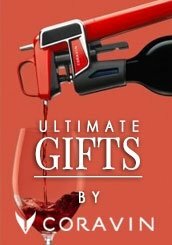 Born in 1888 from a robust variety of Sangiovese, this deep ruby red wine can be appreciated on the spot or stored for decades. The quality should probably increase over the years. We will be meeting with 2 close friends of Aaron at 2 small family owned estates, La Colombina and the Uccelliera. Both wineries are held by nature lovers who treat their vines with respect. We are not talking about « organic » because this word has become politics more than good sense. « King of the wines and wine of the kings » the Barolo is a 100% Nebbiolo full bodies red wine. 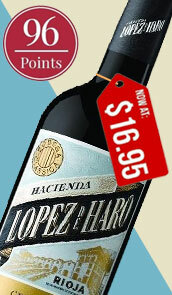 With at least 18 month of aging in oak barrels, the complexity of this nectar will most certainly catch your attention. Visit of the Abbey of Santa Maria del Oliveto Maggiore, a Renaissance style gem that hosts incredible alfrescos all around the cloister and the impressive dining room of the monks. Do an Olive oil tasting at a small family run production, XVIII century factory of the precious Aceto Balsamico. A Tuscan extra virgin tasting will blow your palate after all the wine you will have been siping. Tuscany wouldn’t be the same without the UNESCO Heritage city of Siena. From the XI to the late XV century, this « Republic » was the rival of Florence which resulted in a challenging creating energy. We are fortunate to be able to witness the architecture masterpieces build during theses golden centuries. Siena is famous for it’s Palio, a flash horse race that has been taking place since the XIII century in the central square, Piazza del Campo. The white and black marble Duomo is also worth a look. 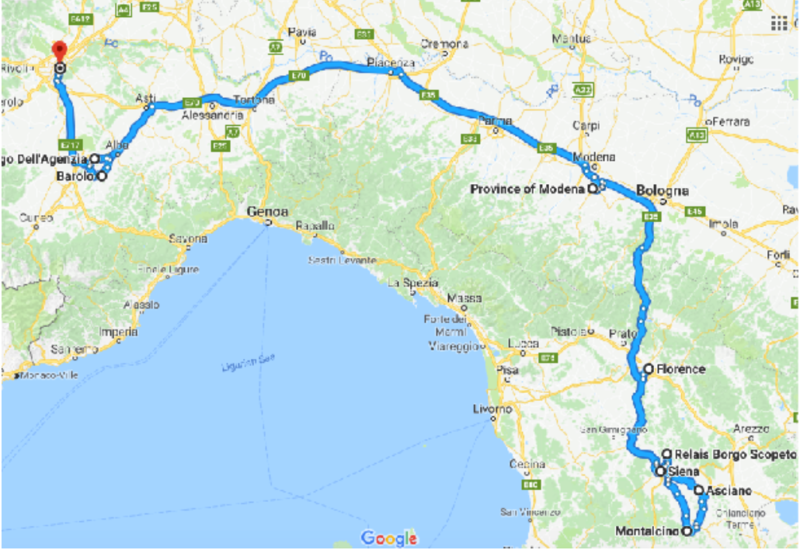 The drive from Tuscany to Piemonte will be indeed a little bit long, but it will actually be an excellent opportunity to discover another Italian region, the Emilia Romania and it’s delicious goods. Birth place of the parmesan cheese, the smoked ham of Parma and the elaborated Balsamic vinegar. Modena challenges Alba for being Italian capital of gastronomy. As we cross the Emilia Romania region, we will be glad to stop in Modena for and exquisite moment at Massimo Bottura’s foodie-worthy experience, Osteria la Franceschetta 58. Happy to arrive in Piemonte, we won’t have to leave the hotel to enjoy a « Slow food » gastronomic experience. And to make things even better, aperitivo will be held in the Wine Bank, the incredible 2,000 m2 that hosts over 100,000 bottles which tell Italian wine history. Piemonte is the Italian region which has most appellations: the Barbaresco follows similar technics as the Barolo but tends to be lighter and fresher. 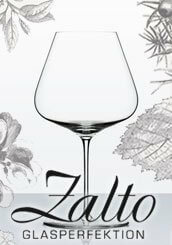 The Dolcetto is also a mono-grappe red wine produced in small quantity around Alba. To introduce you to this region, we have chosen to lead you into the very elegant Ceretto winery. Between contemporary art exhibition and old cellar, the tasting will take you right into the heart of Nebbiolo. Next we will have the pleasure to visit a 3 Michelin star restaurant, The Piazza Duomo, where Enrico Crippa and his team will do their magic. To digest after the fantastic lunch at Enrico Crippa, let’s have a little stroll through the capital of Langhe. Our local expert will explain the premises of the roman city, take us through the winding medical center, highlight the beauties of the Renaissance piazzas and lead us into the stunning cathedral of Alba. For more delicious cuisine, we will be attending the 1 Michelin star La Ciau del Tornavento. The view of the Barbaresco valley is magnificent, the food is, of course, divine and the cellar presents some 3,200 labels. To finalize this incredible week of wine tasting, we have chosen to introduce you to Aaron’s friends in the heart of Barolo. 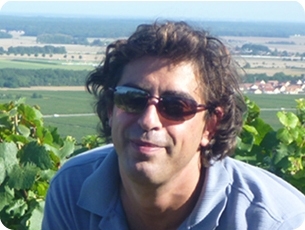 No pretension, just a solid knowledge of wine making in tradition and concern of the soil and the microclimate. We will be sipping some Barolo, but also some Barbera and some Dolcetto at Cavallotto Wine Estate. 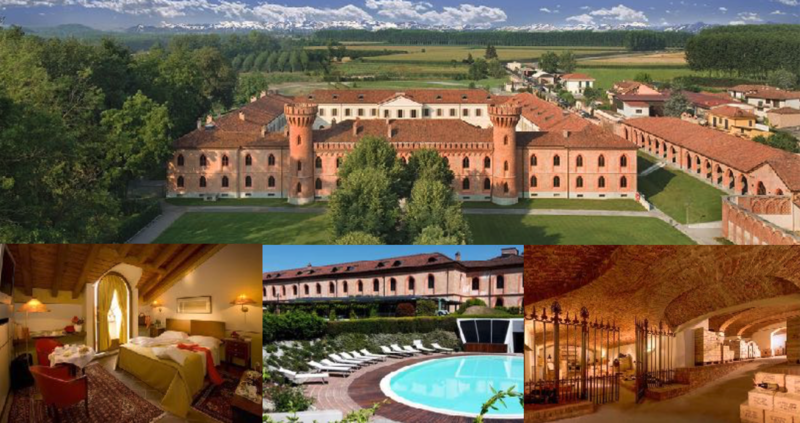 And to finish this trip in style, we would like to take you to an UNESCO heritage site, the Grinzane Cavour Castle. Home of the first regional enoteca to open in Piemonte and current siege of the International Charity Truffle Auction, held in November. Truffle hunting! Please be dressed accordingly, to be able to enjoy the smell of the forest and the work of the dogs. If we are lucky, at this time of the year, we might be able to find some « spring black » truffles. Unfortunately it is not the period of the « white » truffle, the most expensive good sold on the market. Aaron Bick, Wine Online and all the team will be delighted in seeing you again... safe travel... Arrivederci! 1. The promoter of the contest is WineOnline.ca. 2. Employees of WineOnline.ca or their family members or anyone else connected in any way with the competition or helping to set up the competition shall not be permitted to enter the competition. 4. The approximate prize value is $12,500. 5. Contest begins on 2018-02-12 and ends on 2018-03-31. After this date there are no further entries permitted to the competition. The promoter reserves the right to change the beginning or end date. 20. This promotion is in no way sponsored, endorsed or administered by, or associated with, Facebook, Twitter or any other social network. You are providing your information to WineOnline.ca and not to any other party. The information provided will be used in conjunction with the Canadian standard Privacy Policies.